Disco Night hosted by T&A's Wall of Sound! 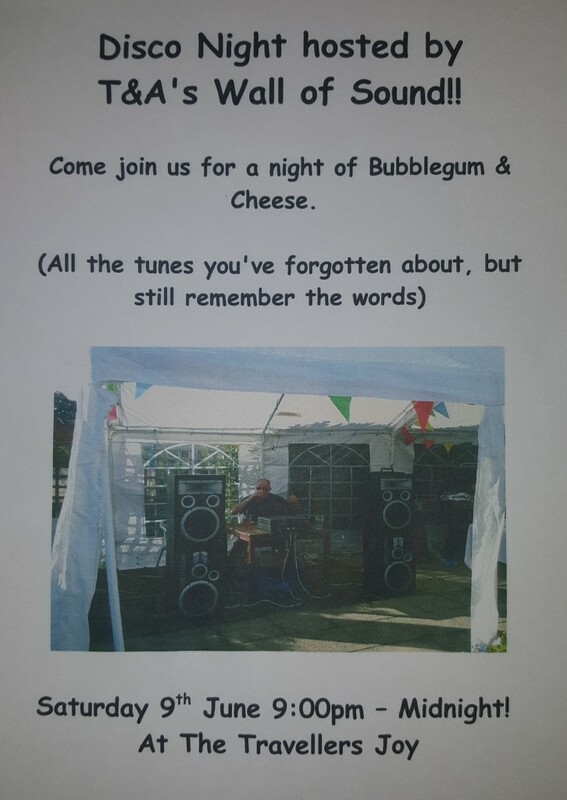 Come join us at The Travellers Joy on Saturday 9th June, 9pm till Midnight, for a night of Bubblegum and Cheese with all the tunes you've forgotten about (but still remember the words! ).